I am a huge fan of the writer, Bill Bryson. He used to write primarily hilarious travel books. However, he seems to be interested in EVERYTHING now , and therefore has to write about everything. I just recently finished his most recent book, At Home. In this book he talks about history, but using the things that you find in your home. A little, seemingly insignificant event happened to me in college that really made me more interested in houses and the histories within them. I used to live in an off-campus house when I went to school at Indiana University in Bloomington, Indiana. I LOVED my house. It was 5 bedrooms, hardwood floors, dining room, garage (without functional doors, but a garage nonetheless), and a small yard. I had great roommates too. I have nothing but fond memories of my time there. One of my roommates my senior year was dating a fellow named Zack (whom she eventually married). The two of them were visiting with some of Zack’s family one day when Zack’s grandfather was asking her about college life. When he found out she was living off campus, he asked her where abouts. She told him it was south of town. He said, “Oh! I used to live south of town. What street?” She said, “2nd and Fess.” He said, “Wow! That’s near where I grew up! I grew up ON Fess!” He asked her what the address was and she told him his old address! We were living in Zack’s grandfather’s house! WHAT?! That one experience left me so interested in the history, not only of our own home, but of homes in general. I wonder what life was like for Zack’s grandfather in Bloomington in the 1930s. I can’t even imagine. I am guessing there were less couches on front porches. I am guessing there was much less frisbee played down the middle of the street in the summertime. So one of the things about genealogy that has me most interested is using Google Maps to see where my ancestors are from. Using the census records (usually starting in 1900) on Ancestry.com you can find the addresses to anyone you’re seeking. One problem I have come upon is that there are never addresses for farms (mostly because there weren’t really addresses for them). Sometimes you can work out a nearby intersection, but that’s about it. It’s interesting to see what the landscape looks like. Even if it’s obvious that the home is no long on the property, you see their proximity to other places within a short walk. 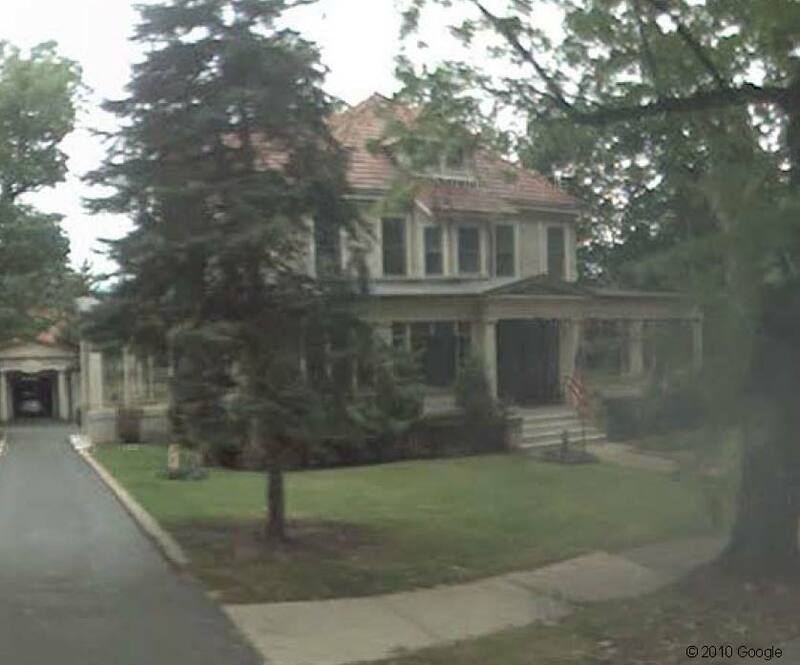 Streetview, in Google Maps, has made it possible to even see what the exact home looks like from the front. Even if some of the houses addresses may not be lined up EXACTLY with the homes, you can generally get the feel of the street. Some homes are amazing, glowing in the sun on tree-lined streets. Some houses, as I have stated in an earlier post, look like total crack dens. Some houses look like they were probably once amazing…and are now homes to the animals and intravenous drug users, hiding from the cops. I have included here some of my favorites so far. 1910 Home of Bascom Taylor Lacey at 1559 Washington Street in Scranton, Pennsylvania. This is the home of my great great great grandfather, Bascom Taylor Lacey. Here is an example of a time when I was like, “I wonder if there’s any way to prove that I should have inherited his money.” Amazing house, right? And that name….Bascom Taylor Lacey. A man with that name SHOULD live in that house. A fun little sidenote about B.T. (a nickname he often used), he was the President of the Green Ridge Club, which was a cycling club in the Scranton, PA area. I learned recently from American Pickers that biking was a rich person’s hobby back in the early 1900s. Bikes were VERY expensive. Very. The parking lot for this theatre seems to have taken over my great great uncle's home. So, I have a great great uncle named Allison Kinsley. It took me quite awhile to come to the realization that this man was actually a man. Allison? Yeah, he was a guy. He moved to Denver, far far from the rest of my Kinsley family in Pennsylvania and New England. 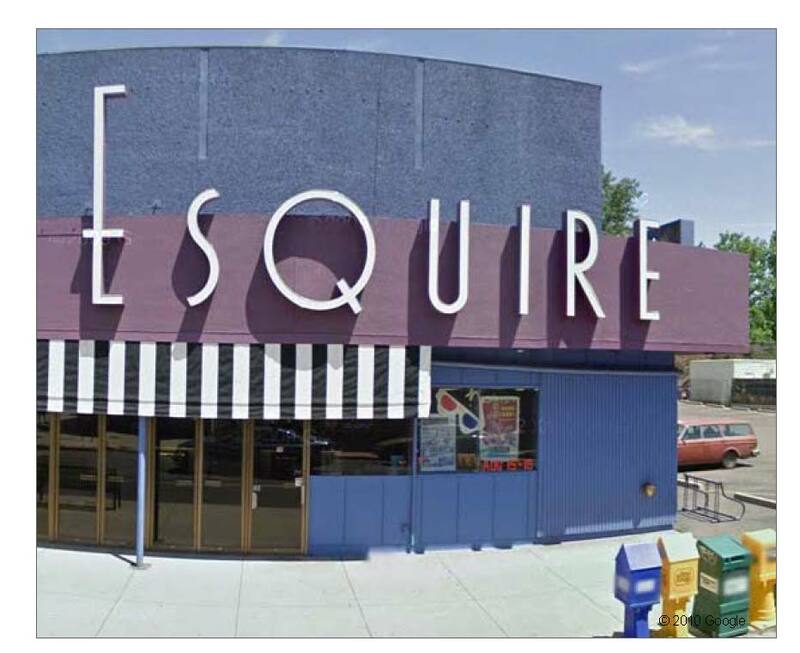 He lived here in 1920 (I don’t know till when because I still don’t have a death date for him) and the Esquire didn’t open till 1927. It was redone in the 1960s, as you can tell by its ugly boxiness. But how about that Old Timey font on the front! Capitol Hill is supposed to be one of the cooler and trendier ‘hoods in all of Denver. I’m proud of my Uncle Allison. Tucson home where my great grandparents lived. 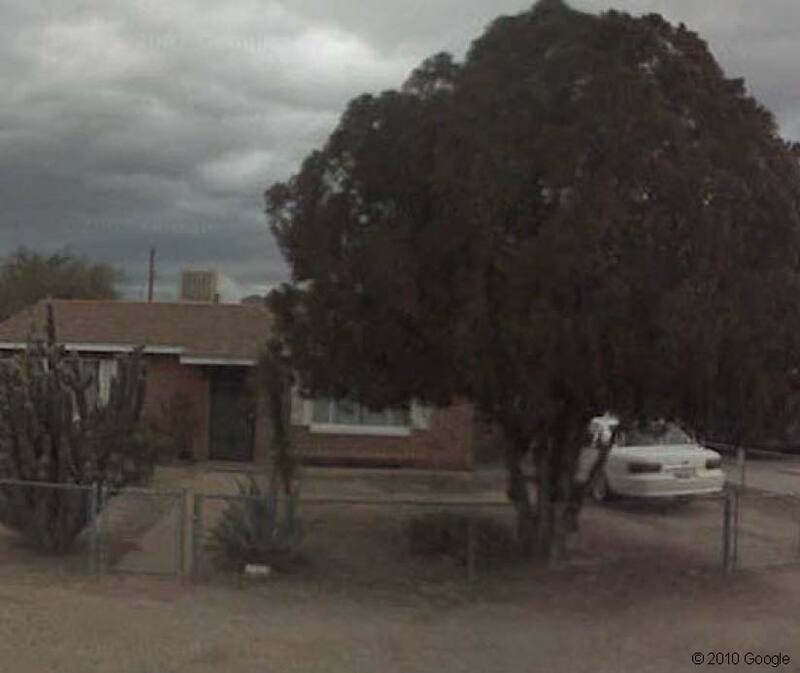 You may be thinking, “Are those cacti in the front yard?” That’s what I was thinking, and yes…yes, they are. This is the house (or at least right next to the house) where my great great grandparents John Darl and Eva (Hill) Munn, moved in their middle life after their kids had grown. They ended up moving back to Ohio later in their lives, but they spent quite awhile in Arizona when there was still not much going on there. East 12th Street in Indianapolis, Indiana. There is really a house behind this. When we were growing up we lived in a neighborhood for a few years where there existed an urban legend of a man. His name was Weedy Man. 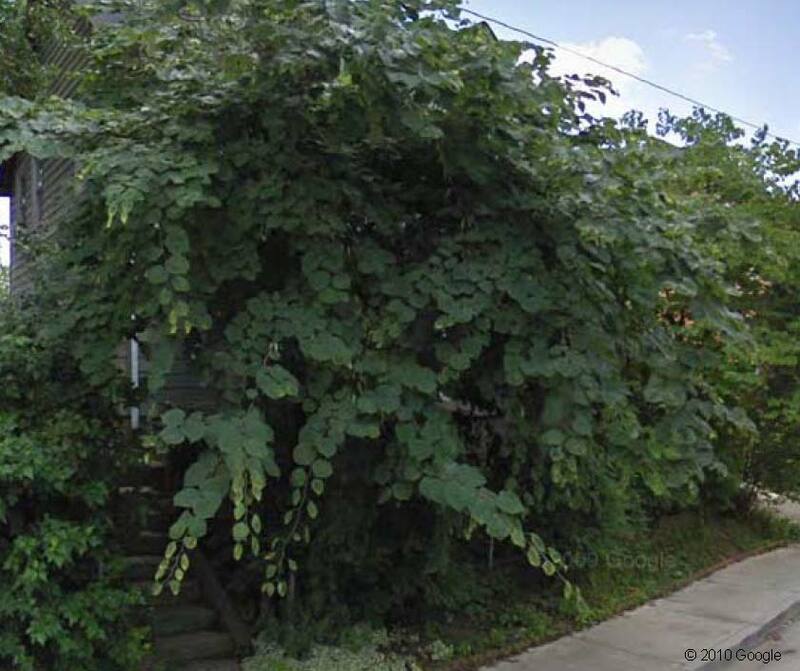 We called him that because he lived in a house that was so surrounded by weeds and foliage that you truly could not even see it. When I looked this house of Andrew’s great great grandmother, Fannie (Galloway) Bastion Johnson, I was brought back to my childhood of terrifying neighborhood characters. It looks like it was quite a large house and was probably quite lovely in 1920. It is currently a hot mess. This neighborhood is known for being in the middle of Sketchyville. 2021 Nowland Avenue - The home of many generations of Andrew's grandmother's family. 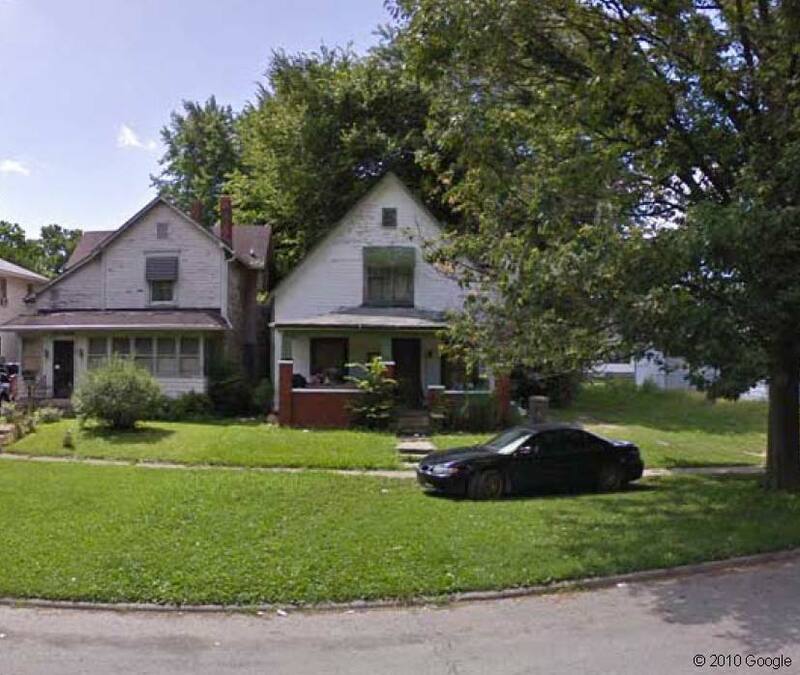 This house, on the near NE side of Indianapolis is where Andrew’s grandmother lived as a child. I saw a picture of what this house looked like back then and wish I had it to post along with all this. 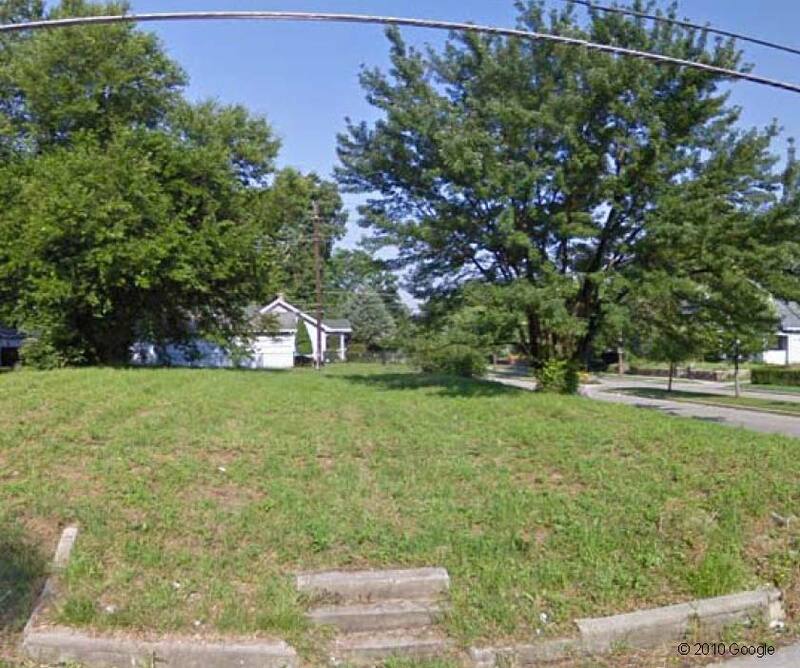 4054 Saint Ferdinand Ave in St. Louis, Missouri. This was the home of Mary Margaret Hardin in 1930. The one on the left is the home of my friend Ragin’ Nortron’s great grandmother. You may remember a story I recently posted about Ragin’ and his family in Wabash, Indiana. Much of his family is also from the St. Louis area. This was one of my favorites. 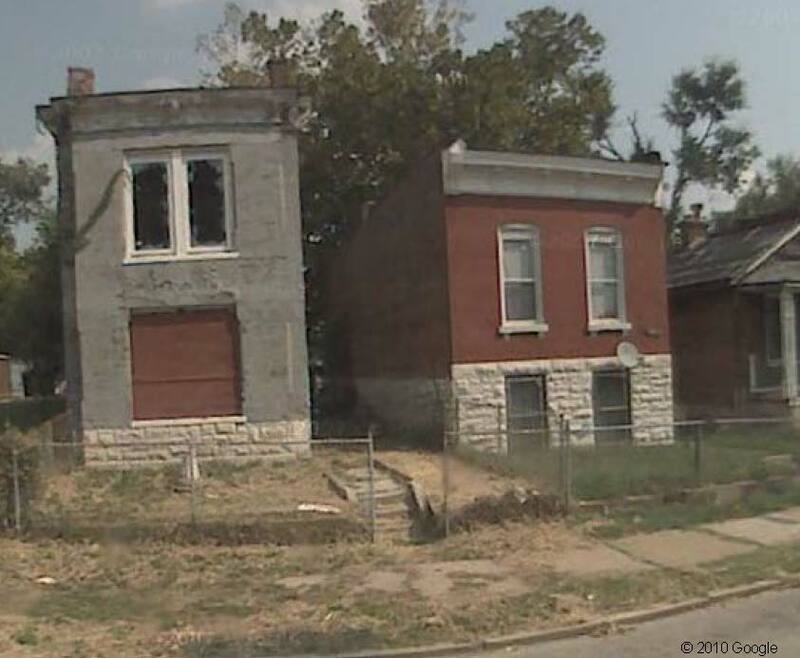 You can tell that these houses were probably amazing when they were built and before they started becoming vacant lots. I LOVE that this home still has shards of glass sitting in the frames. I can just imagine the exciting adventures that go on behind those empty window frames. This used to be a house. As we can see from the steps, this used to be a house, and was most likely the house of Andrew Brosman in 1930. He was the great grandfather of my friend C-Dogg. He only lived for a very short time in Indianapolis, but when he did he was located at this home at 2546 N. Harding Street. It was probably a great place to live then, within a short walk of Riverside Park. 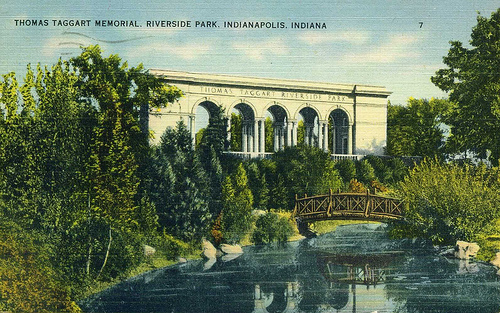 Illustration of Riverside Park from an old postcard. I am a traveling fiend, and sometimes I feel like Google maps lets me take little trips to the places where my family comes from without ever leaving this great. comfy, green chair. Any genealogists out there enjoy this little mini-hobby as well? Anyone have another fabulous use for Google Maps? This entry was posted in Brown Family, Genealogy, Kinsley Family, Nelson Family, Other families and tagged ancestry, genealogy, Google Maps, homes, houses, Indiana, Indianapolis, Scranton, St. Louis by amanita. Bookmark the permalink. When my parents were visiting us they had fun doing the same thing with my sons and google maps. Then on a road trip, I took my mom to her old home in New Jersey. She was so happy to see that it hadn’t turned to Sketchyville. I think that short stop was the highlight of the road trip for her.